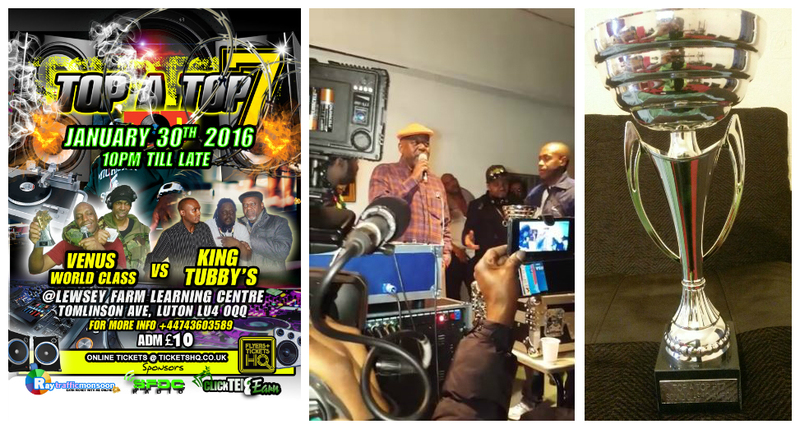 On Saturday 30th January King Tubby drove down the M1 motorway to dethrone Venus World Class Sound from the Top A Top title. 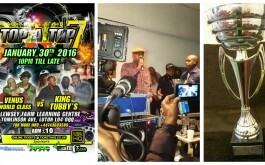 It was the first sound clash of 2016 in the UK and 7th in the Top A Top series. Let me just say overall it was an easy win for King Tubby though the first round could’ve gone either way. I was very surprised when I saw most of Venus crowd not bothering to put their hands up. After that, in my opinion, it was an obvious outcome of the final result. 3 nil to King Tubby meaning the clash cannot go to tune fi tune. A decision was made in the last round by the independent judge to stop the clash, which is equal to sound shutting another sound of. The decision was made because of King Tubby outstanding performance in that final round and it was a decision that I agreed with. King Tubby is a worthy champion who displayed class, showmanship and everything else. They came to Luton over a year ago and won a Top A Top clash against Sovereign Sound so twice a winner in Luton. They will now have to defend their title against Rolex Sound also based in Luton. The date and location hasn’t yet been decided but a decision will be coming asap.